Most of the legal proceedings in VietNam are conducted in English. Under the current law, if a court determines that a person has the limit in English, that person will have the right to require a qualified interpreter in any type of case. As in the court, people often use specialized and legal terminology, formal and informal registers, dialect and jargon, varieties in language and nuances of meaning. Therefore, more and more people are looking for the court interpretation service. Recognizing the high demand for court interpretation service, Saigontranslation, with over 12 years of experience, takes pride in providing qualified interpreters. Applying ISO 9001:2015, Saigontranslation selects sworn interpreters who are impartial, unbiased and have the ability to render a complete and accurate interpretation of the proceedings. As we know that communication in courtroom proceedings may be more complex than in other settings or in everyday life, Saigontranslation provides sworn interpreters those not only have knowledge, skills, and abilities but also have experienced, particularly in this field. An example for our court interpretation service, Saigontranslation has provided 2 sworn interpreters for Gide – one of the leading international law firms with 14 offices worldwide. This project lasted for 2 weeks. The client has given us good feedback. At Saigontranslation, we always give priority to maintaining the relationship with our clients. More choices: We provide language service solutions, namely translation, interpretation, voice-over, global business support. Therefore, we believe that most of your needs will be met. More guarantees: We are trusted by partners for accuracy, speed, and reliable services. Fewer risks: Our trusted translation services can help your company avoid potential risks from the mistranslation of important documents. 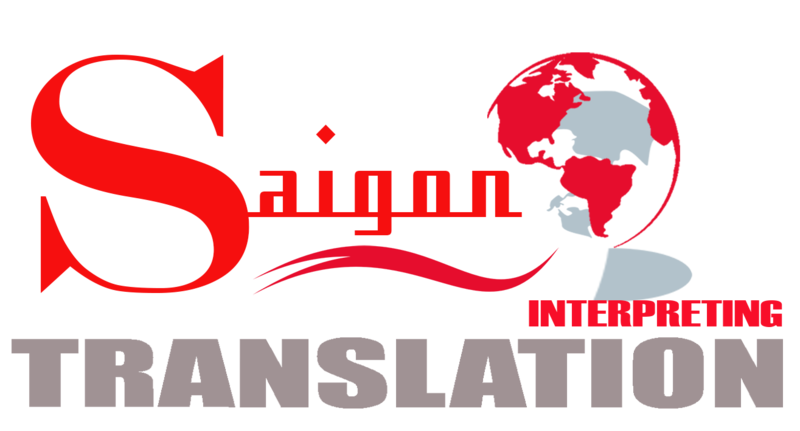 Only a leading translation company like Saigontranslation can handle your project perfectly. Entrust your court interpretation to Saigontranslation and you will have the opportunity to experience a level of customer support that can not be offered by other translation companies.